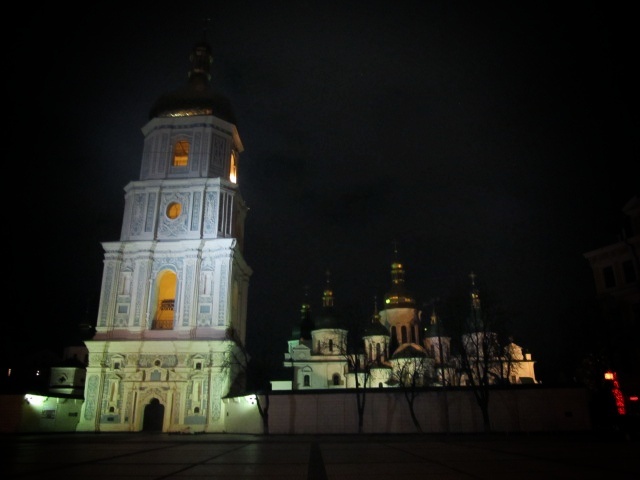 The key religious monument in Kiev is Saint Sophia Cathedral which miraculously survived the communist regime. So far we've been by the cathedral twice on our way to adventures elsewhere but tomorrow we will make a stop inside. I thought I would share this lovely evening view.